#DesiEventz & #SardariGroup presents another great Event . 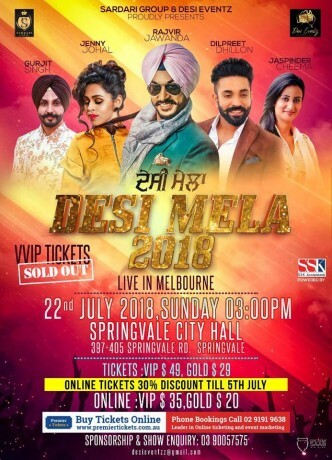 DESI MELA LIVE in MELBOURNE on 22nd JULY. DILPREET DHILLON for the first time, RAJVIR JAWANDA and HEART -THROB JENNY JOHAL for the first time too. It is going to be a family event. Timings /dates/venue/artists of the show are subject to change as per promoters discretion due to any unforeseen circumstances. 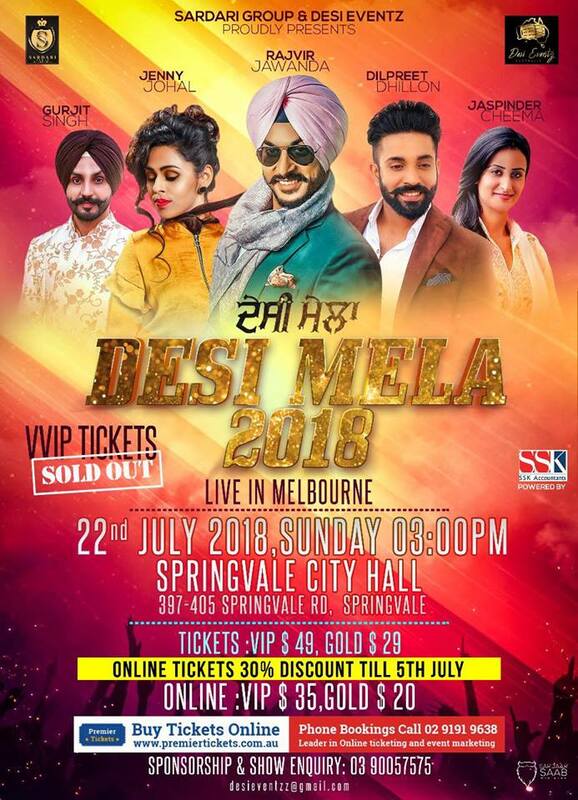 Premier Tickets Australia is proud to be the online ticketing partner for DESI MELA – Live in Melbourne on 22nd July 2018 @ Blacktown Showground.